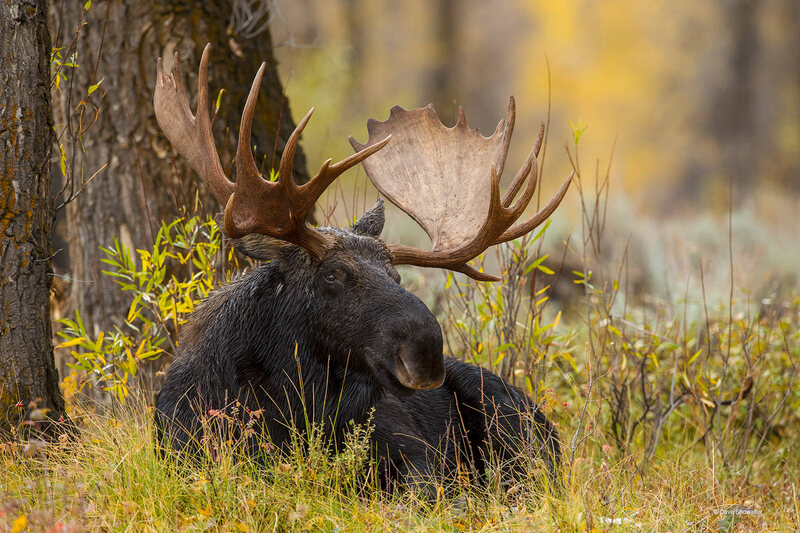 Exhausted from the pursuit of cows during the fall rut, a very large bull moose rests in a cottonwood gallery forest. These majestic animals in Grand Teton's autumn color are magnificent. Photo © copyright by Dave Showalter.